We are so lucky to have so much live theater in Jefferson Texas. During the month of March 2012 the Sanctuary Players are presenting a new play called Red Velvet Cake War. In this riotously funny Southern-fried comedy, the three Verdeen cousins – Gaynelle, Peaches, and Jimmie Wyvette – could not have picked a worse time to throw their family reunion. Their outrageous antics have set tongues wagging in the small town of Sweetgum (just down the road from Fayro) and the eyes of Texas are upon them, as their self-righteous Aunt LaMerle is quick to point out. Things spin hilariously out of control when a neighbor’s pet devours everything edible, a one-eyed suitor shows up to declare his love and a shocking high-stakes wager is made on who bakes the best red velvet cake. As this fast-paced uproarious romp barrels toward its surprising climax, you’ll wish your own family reunion was this much fun! 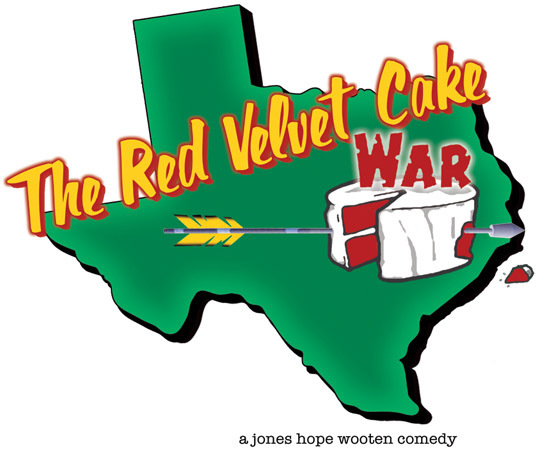 Laugh until you cry as the Texan characters vie to make the perfect Red Velvet Cake. Deliciously funny words from the southern side of life! This entry was posted in Theater by Tammy D. Bookmark the permalink.